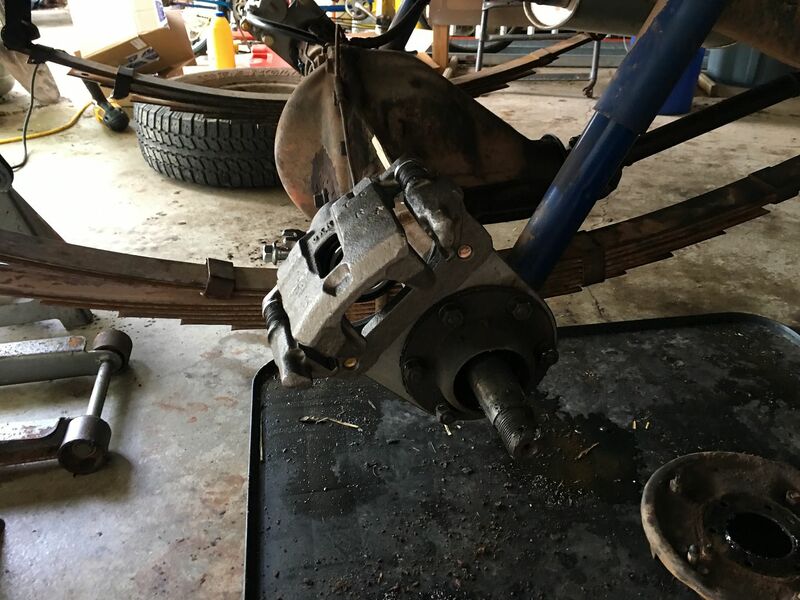 I'm working on writing up a guide to the Geo Tracker/Suzuki Side Kick brake conversion. 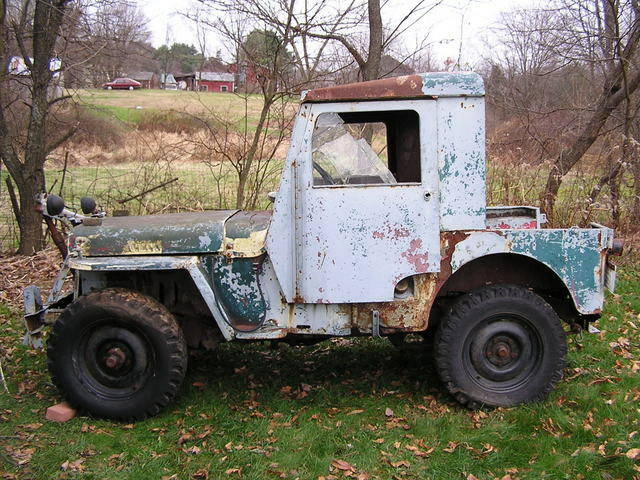 The write up will be specifically geared toward the installation on my stock 1949 CJ3a with factory Dana 25/41 axles. If yours differs from stock, you might have your own nuances to work through. I'm in the middle of the conversion myself. I'm going to use the first five posts in this thread to talk about. I will make a small comment in them all, and later go back and add details later as I'm able to do a whole write up. First off, the one benefit of this conversion is not needing to buy a lot of fancy parts, when I did this in the summer of '18 I spent about $450 for all the parts needed to do the conversion using all brand new components. Brennan Metcalf, the gentleman who I purchased the brackets from had a small write up with some tech notes on the conversion. technical notes for this conversion below. or online at places like RockAuto ). This kit is designed around using the NON-vented rotor and caliper. 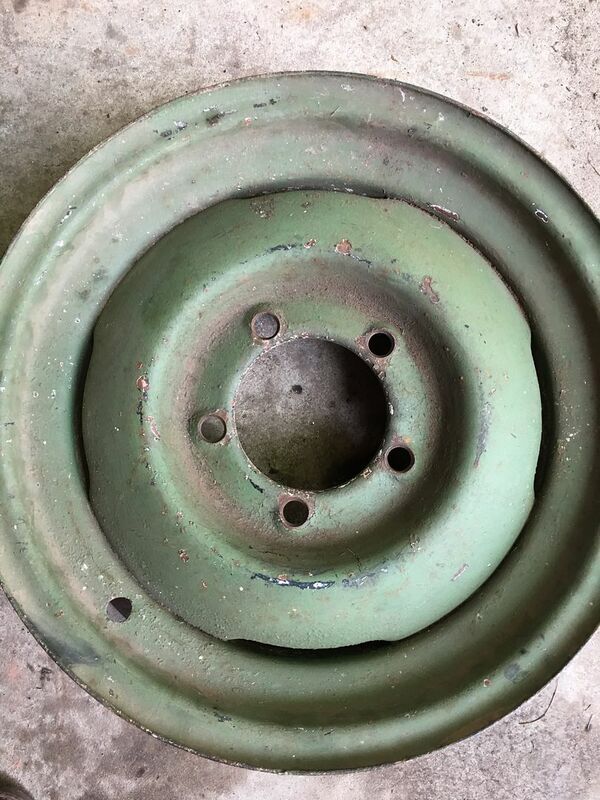 has the drum brake on the outside of the flange and is easy to replace. no need to remove the studs. 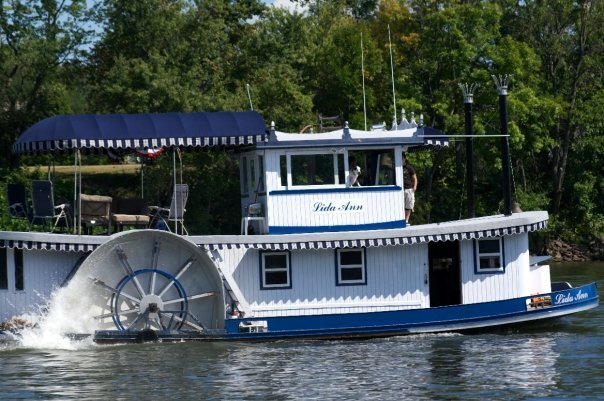 approx 70ft lbs torque with 10.9 or 12.9 fasteners ). extend beyond the bracket towards the rotor. I have had the odd setup happen where this shim is the wrong thickness. hub/spindle/axle flange between different versions. transition to hard lines at the frame). 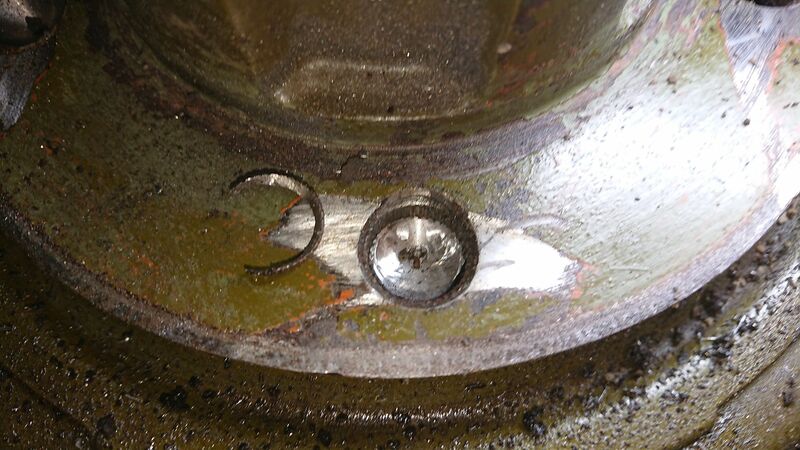 Be sure to use the appropriate banjo bolt and crush washers. out what length/end you require. behind it. Note: I have elected not to perform this operation on my end. and side to side to help clear shocks, steering, etc. hub. You can use the stock spindle studs and nuts typically. These parts I picked up from Rock Auto. They have a decent selection and there was really no rhyme or reason for choosing the brands I did. The caliper mount bolts I found from the local Fastenal. They had to order them since they were an odd size, but it only look about a day to get them in. The 30mm thread length worked for my application, yours may vary. There are a few options out there for studs, the reason I chose the ones I did because they have a shorter knurled section than the factory studs (factory studs have to go through the hub AND the drum). You'll see later on during the installation as to why this is important. Likewise for the brake hoses. There are a few options and lengths out there, some people even seem to opt for having customer hoses made. I prefer to use off the shelf parts for ease of replacement. The banjo end of the hose will bolt directly to the caliper (the calipers I bought came with a 10mm banjo bolt, copper washers, brackets, and clips to retain the pads). 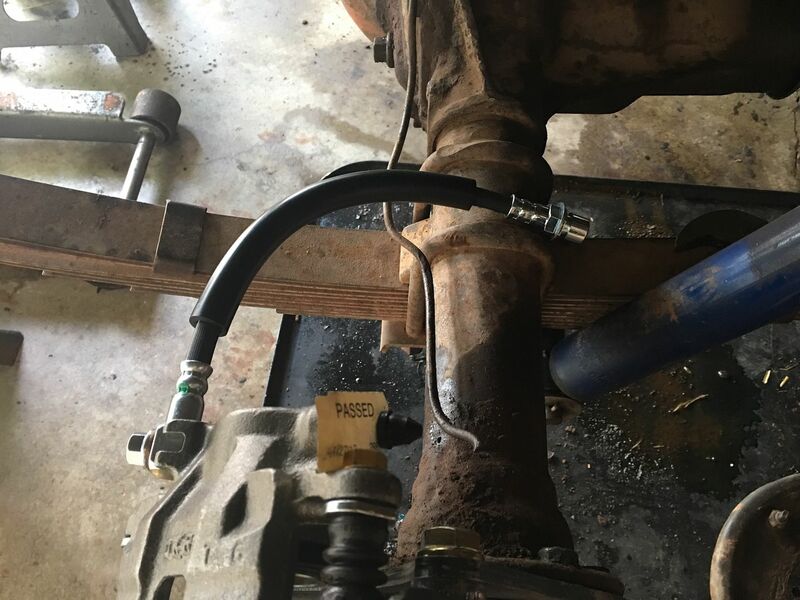 I did use the same S10 brake hose on all four corners. For the hoses, I also wanted to retain the factory hard lines as much as possible. These brake hoses allowed me to do that. They will connect to the front hard line without modification, though the rear line will need shortened and re-flared, which I'll talk about further down. 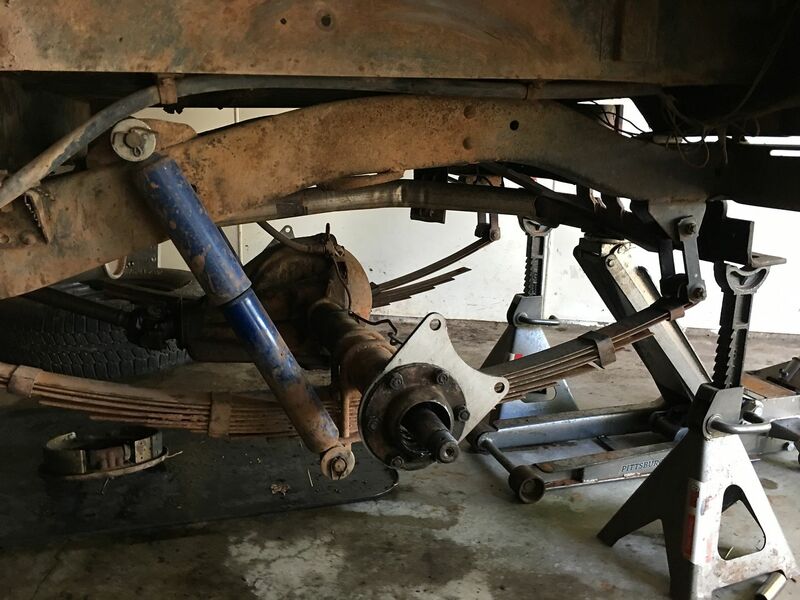 During the install, I found that my hard lines on the Jeep weren't in that great of shape, so I decided to just replace the hard lines on the chassis, front and rear axles, and the hoses that ran from the chassis to the tee on the axles. The bracket installation is pretty straight forward. I clocked mine as show for ease of routing the brake hoses, but more on that later. The spindle bolts between the bracket and the knuckle. The bolts in my knuckle were long enough to get more than a few turns of engagement. If you're don't get at least three threads of engagement, get longer bolts. 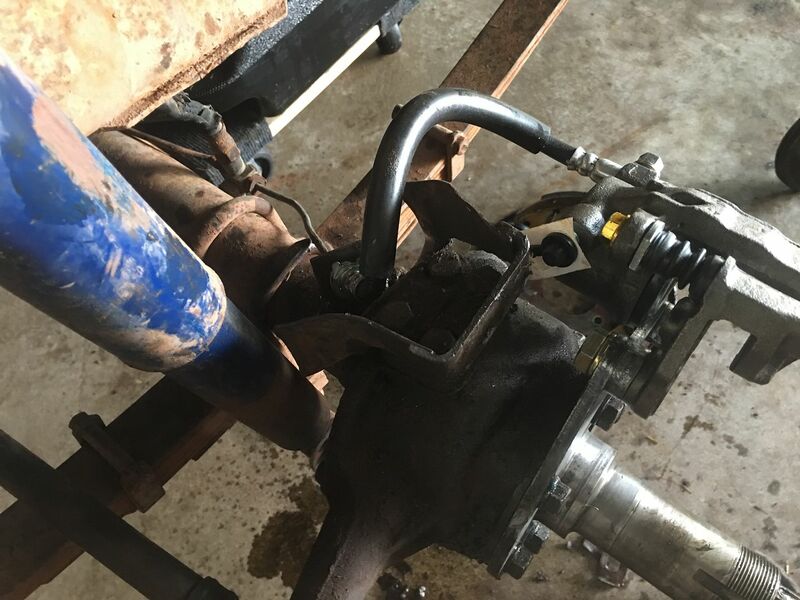 Due to the poor condition of the existing brake lines on the rear axle, I decided it would be best to replace them given all the other work I was doing (no sense in half assing it). As such, the replacement pre-bent lines were on the front of the axle instead of the rear like before. 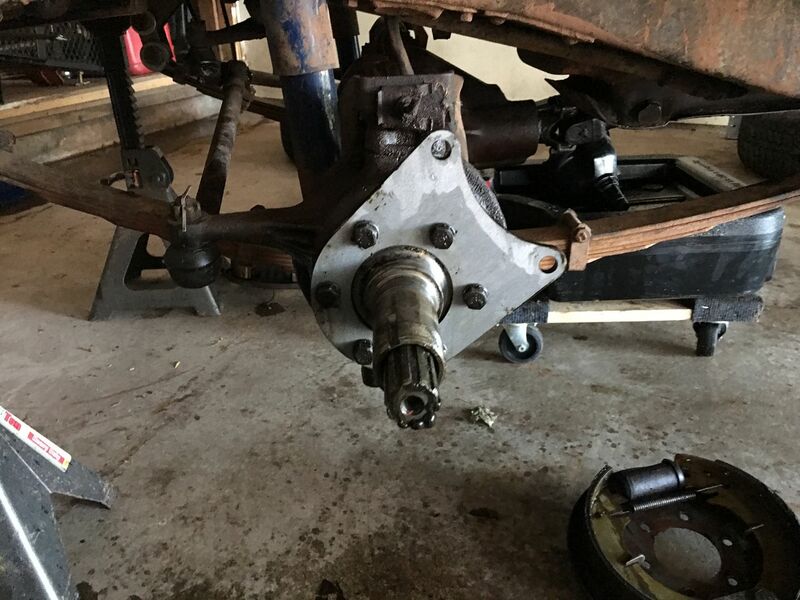 It made more sense to adjust the position of the bracket and caliper to be oriented toward the front. I needed to swap the calipers side for side to maintain having the bleeder pointing up. Here is the end result. Once I get everything working, I will eventually weld some brackets to the axles between the u-bolts to secure the lines. It was pretty simple to remove and re-clock the brackets and swap the calipers to reposition everything. The rear brackets mount much the same way. 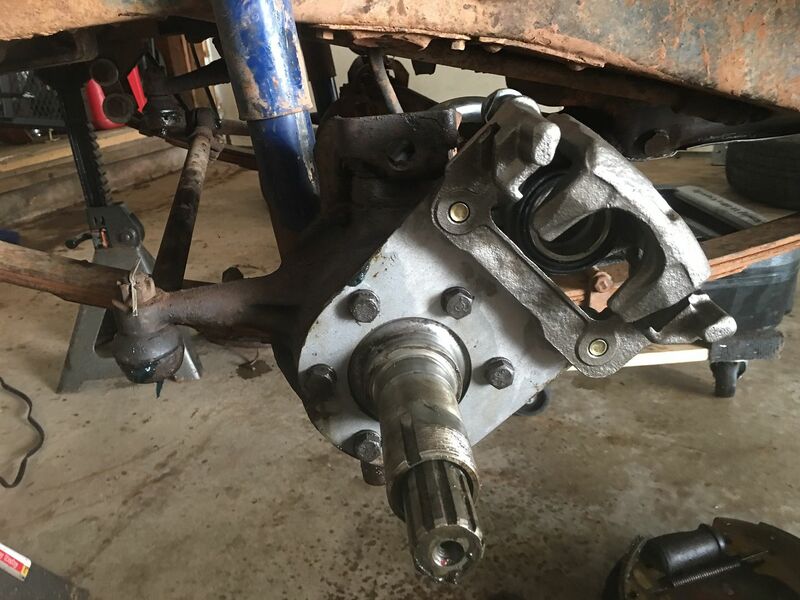 I also chose to clock mine toward the rear because the hard brake lines on my rear axle were on the back side of the axle. With these, you need to position the shims, bearing retainer, then the bracket, then outer oil seal last. If you don't do it in this order, you will have alignment issues. I didn't take any pictures of pressing the studs out of the drums and rotors. The fronts were fairly easy with a hydraulic press. The rears were a different story because of bring crimped/swaged. I ended up mounting the rears in my milling machine to cut the heads off the studs and pounding them out with a sledge hammer. Word to the wise, wear ear muffs as it gets loud banging on them. This is how the bracket and spacer get oriented. The caliper mount bracket goes outboard of all that. It's important to note that when installing and orienting the calipers, that the bleeder needs to be the highest point on the caliper, otherwise it will be darn near impossible to bleed. With the brake hose installed, you can visualize how I intended to connect my hard lines. I'll make a little bracket that attaches to the axle between the u-bolts so it's out of the way. 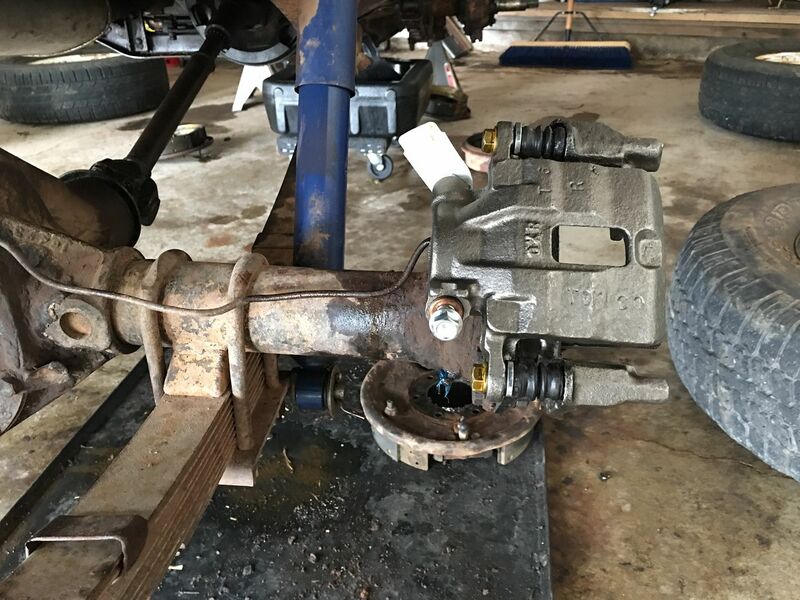 Really the only modification that needs to be made to the re-used portion of the existing brake system is right here at the hard line on the rear axle. The hard line needs to be shortened and re-flared. That's it. The fronts go together in a similar manner. This shot highlights why I chose to use the S10 lines. It has plenty of length to use the existing bracket AND will mate to the factory hard line. After looking this over a bit, I did decide to remove the brackets at the upper king pins. I didn't want them to rub on the brake hoses. The final step was putting it all together. The one other point of confusion with this whole upgrade was what wheels would actually fit. If you remember back to the 15" later CJ wheels I had, there was mixed messages over what would fit and what wouldn't. Well it turns out they didn't fit. They didn't clear the calipers and hit right where the inner sections mates with the outer. I managed to find a set of wheels local to me. Unfortunately I didn't inspect them close enough before getting home because I soon learned that out of four wheels, I had three different styles, but it ended up being a mixed blessing because I can now share what wheels do and don't work. 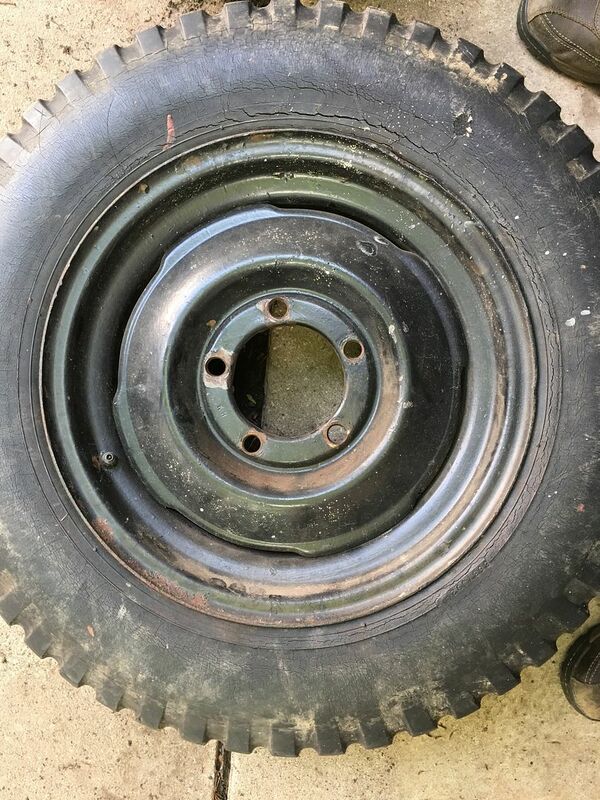 These are early style 16" Kelsey Hayes wheels. Please note the flat lug nut flange area. These wheels WILL WORK. These are later style 16" Kelsey Hayes wheels. Please note the flat lug nut flange area and the step in the spoke. These wheels WILL WORK. The third style I had was a 16" MotorWheel. Note the bumps in the lug nut area and the lug nut flange is distinctly different. 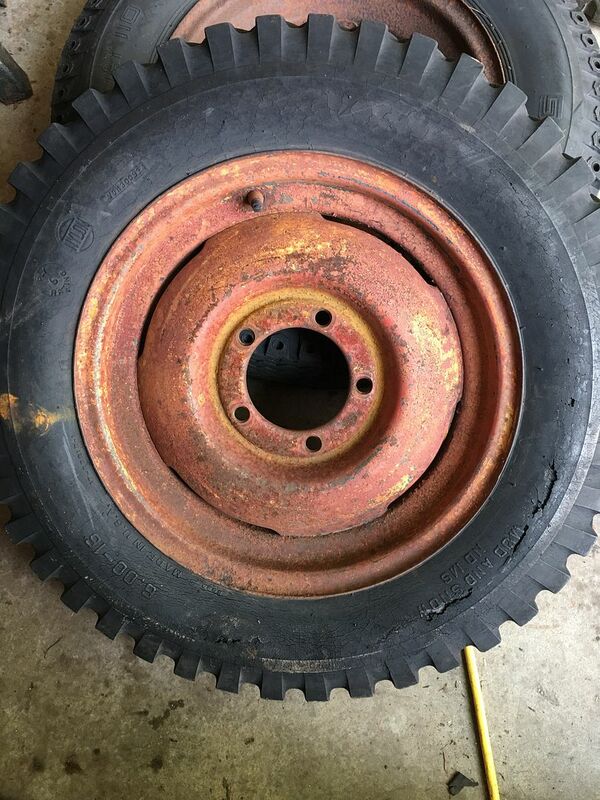 These wheels WILL NOT WORK. I haven't quite finished my installation yet, but I plan to review the system once I get it all together and some miles on it and put my overall review here. I finally got my wheels and tires situated and took the jeep for a drive this evening. All I can say is WOW. The disk brakes make a HUGE improvement over the stock 9" drums. Thanks for taking the time to do this more detailed write up. I am sure I will have questions when I get around to doing mine next summer (hopefully). This is a very complete and accurate write up, I would suggest that we pull it down and put it in the Resource Section as well. Maybe Pascal can get on that. It would be good to keep this where we won't lose it. I hope to add more to it. I made a few changes to my install last nights that I'll have to update and comment on. Fantastic write up! Thanks for taking on the arduous task of doing the job AND documenting it. 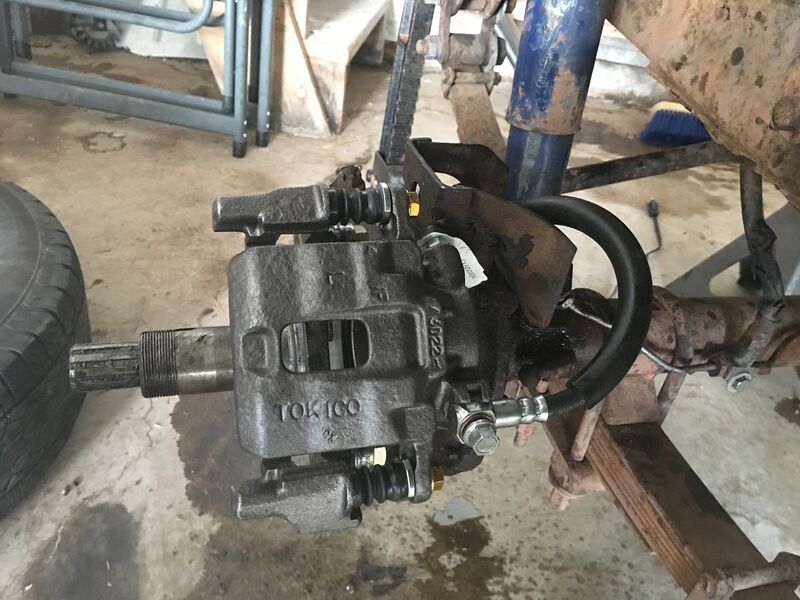 One question: does anyone have a drawing of the caliper adapter plate? I'm one of the few nut-jobs who would like to make my own. (I have a CNC, and an account with McMaster Carr). I suppose I can figure it out myself when I get my hands on the calipers themselves (to figure out the caliper mounting circle diameter) but it'd be nice to make the plates up-front while I patiently gather other parts. But great work. Looking forward to the final report! You could ask Brenan to share his drawings with you, might be a charge and maybe a non compete involved. Just buy the parts. Brenan did all the work so he should be compensated. That's absolutely fine and I get it...if someone is going to put lots of time into it and make jigs and stuff, I respect their decision to not let it out in the wild. 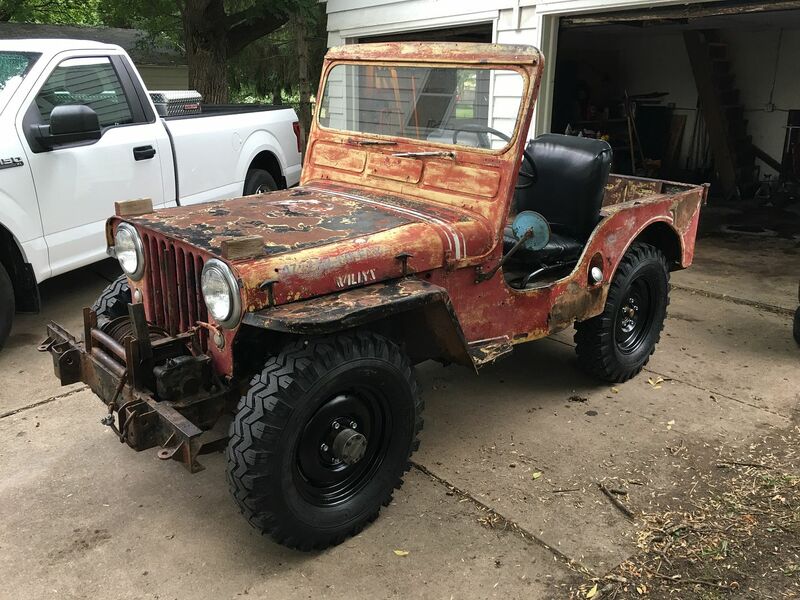 It's great to see cool simple reversible mods for these Jeeps on threads like this. 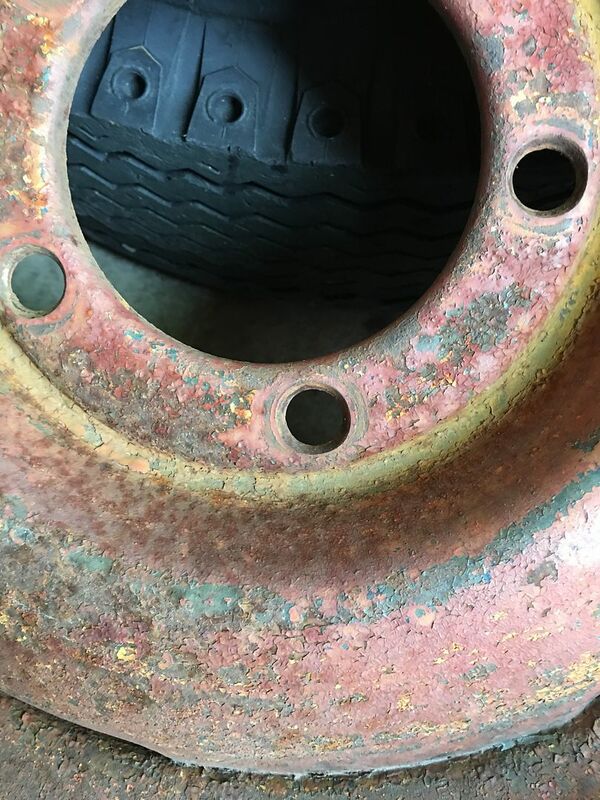 About removing the wheelstuds when they are swaged, pounding or pressing them out is not the best way to do it because it can damage the hub. I'm in the middle of the discbrake upgrade myself and had to remove the studs to. I cut them level with the hub, then used a 14.5 mm drill (biggest i have, i think with a 16mm and perfect centering you can cut away the swaged part in one go) Then used a dremmel to grind away as much af the swaged edge left and then used a punch and hamer and they came out with very little effort and no damage to the holes for the wheelstuds. I read that it can be hit or miss when pressing or hammering them out and not damaging the hub. 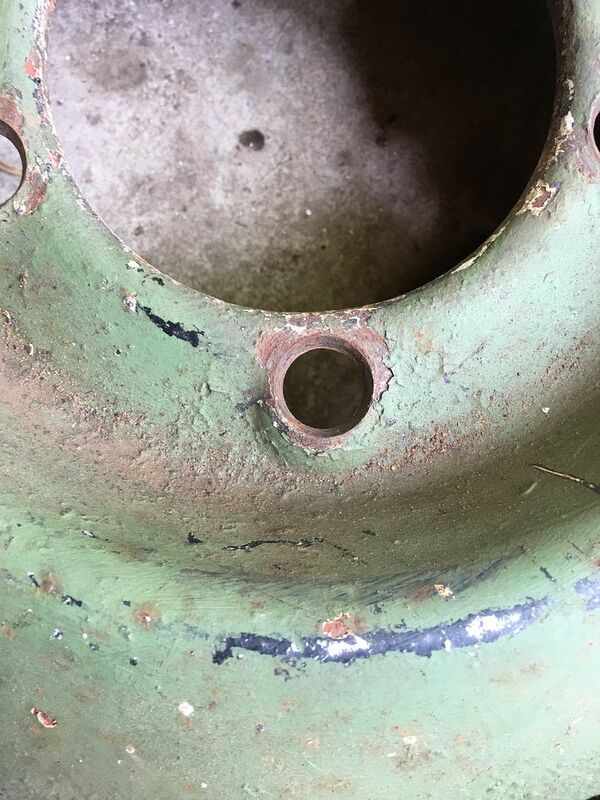 The major issue can be that the holes in the hub are widened and you have to weld the studs on the back so they dont rotate. 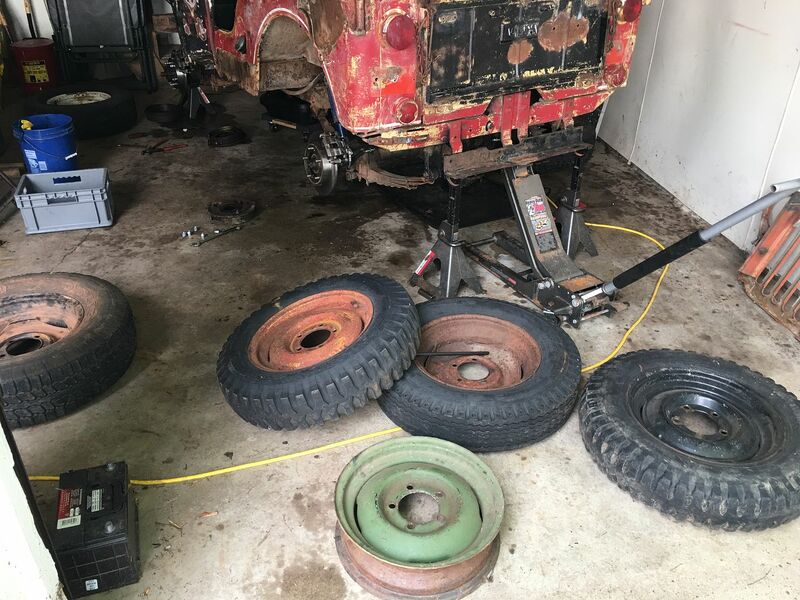 I have been doing some more research into the brake system of the older Willys and have a question before I do the conversion from drum to disc. I would appreciate any feedback. 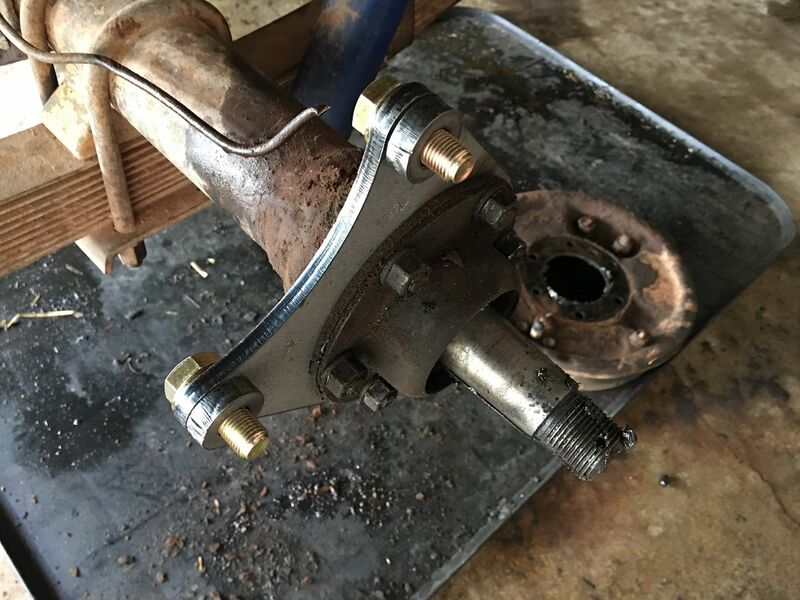 With the conversion to disc brakes did you change your master cylinder? 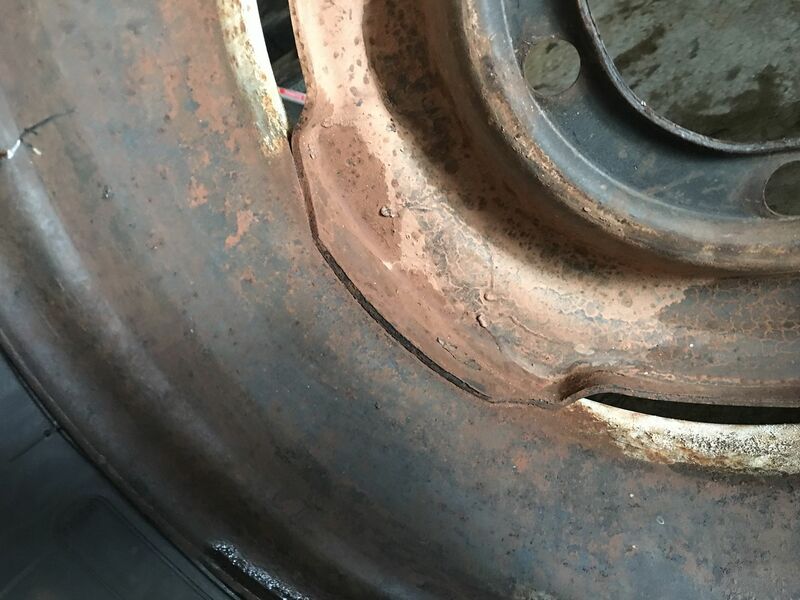 Has anyone just done the front brakes to disc and kept the back drum? 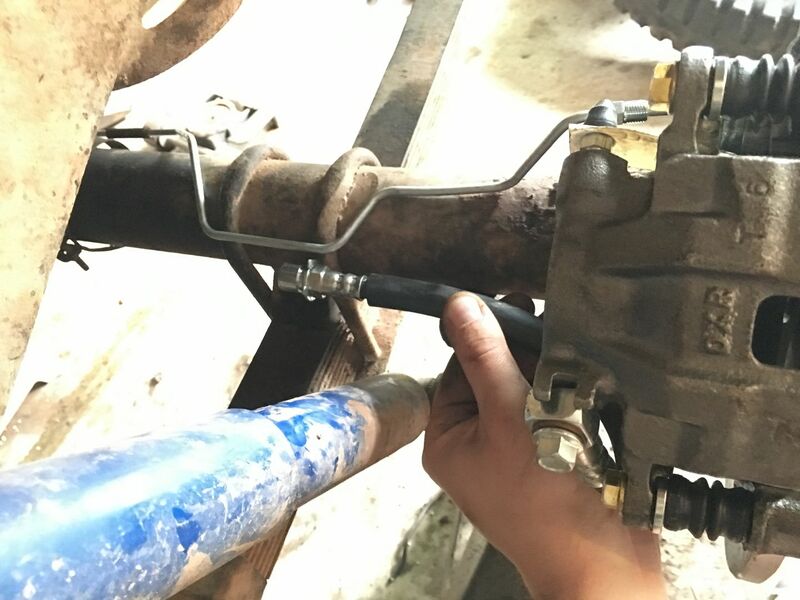 Did you change your master cylinder? 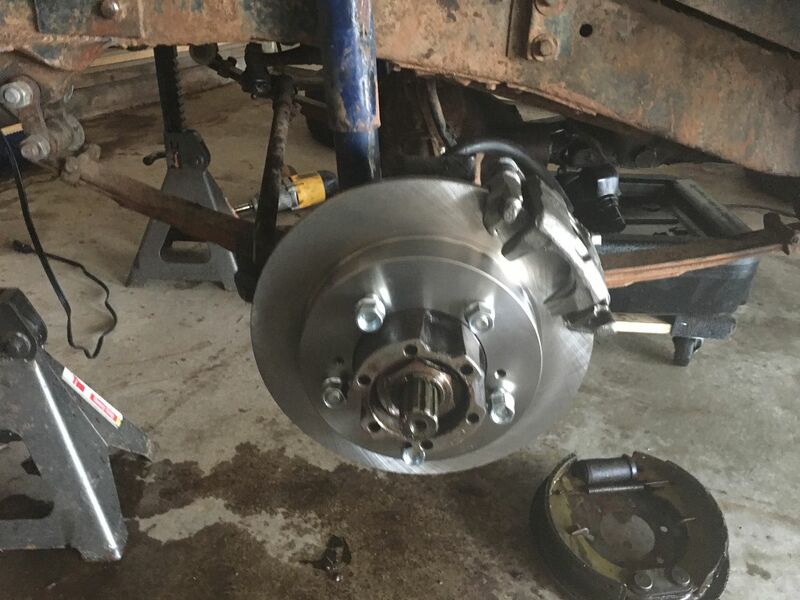 Everything I am reading says that you should change because of the amount of fluid required for disc brakes vs drum brakes. I would like to get better brakes but want to make sure I account for everything required when I do them.